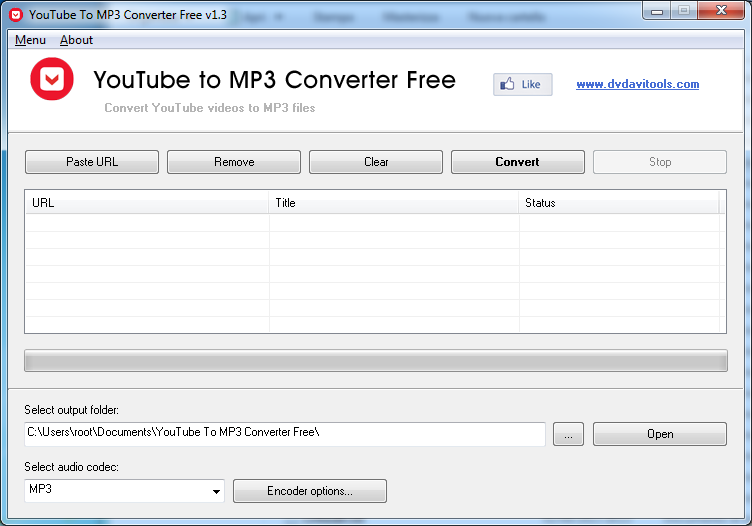 Easily convert YouTube videos to MP3 audio files. The usage is extremely simple, just paste the URL of the video you want to convert to MP3 and then click the button “Convert” to begin the conversion. This application is compatible with all Microsoft Windows operating systems, including Microsoft Windows XP, Vista, Seven, 8 and 8.1 (32-bit and 64-bit).